Because of the Apple PC’s excellent screen, the presentation of color gradation, hue, and contrast is much better than that of traditional PC computers. Thus it is the main choice for many professional video and photograph editors. In particular, the recent launch of the Apple MacBook Pro and MacBook Mini with retina screens further established that Apple has the professional user in mind. The only drawback is that MacBook Pro’s 13 or 15.4-inch screen is too small. In fact the MacBook Air only has an 11.6-inch screen. If you usually use your Mac only to browse the web, screen size it is not so important. But for those who run complex software (such as Xcode or Photoshop), the MacBook’s screen cannot cope with all the windows. Users will need to keep pressing Option-Tab to switch between windows. An external monitor does allow you to have more display space, and helps you get the job done more efficiently. It is worth mentioning that not only does an external monitor offer a larger display space, but there is also some software optimized for multi-display software (such as Aperture and iMovie) that offers more convenience. For example, if you use iMovie to edit video on a single display, the movie preview windows will be pushed to the upper-right corner of the screen by other windows. If you have two monitors, you can use one screen exclusively for the movie preview and put the other windows on the second monitor. 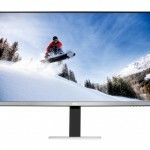 2.2.1 Should You Buy a 4K (3840×2160) monitor? 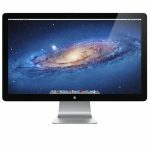 I have met some iMac users whose reason for choosing iMacs is that “the monitor is big enough.” In fact, using a MacBook Pro or a Mac Air, an external screen can often meet their requirements and provides more flexibility. Disclaimer: Clicking on a “Details on Amazon” link will bring to you to the appropriate Amazon.com product listing, where you can check the price, customer reviews and more information about the product or similar products. Our tips for buying a monitor will help you pick the model that best fits your preferences and needs. There are monitors for all budgets and image quality, and of course you’ll be able to pick the screen diagonal you prefer. When we go to buy a monitor, if we want to get the best value, it’s best to look at a monitor range, starting at 21 inches with the possibility to go up to 23 inches according to the offers available. If we jump to 24 inches, you’ll see a price increase. And if we have a bit more of a budget (and space), the 27 inch screens are great for seeing every detail. For general PC use (not to replace a TV in a room), a 21.5 inch screen would be more than enough to comfortably enjoy the O.S. (Operating System) and any software. If you do work such as photo or video editing and need to open many windows, you should choose a larger screen such as a 24-, 27- or even a 32-inch monitor. Closely tied to the screen size is the resolution. 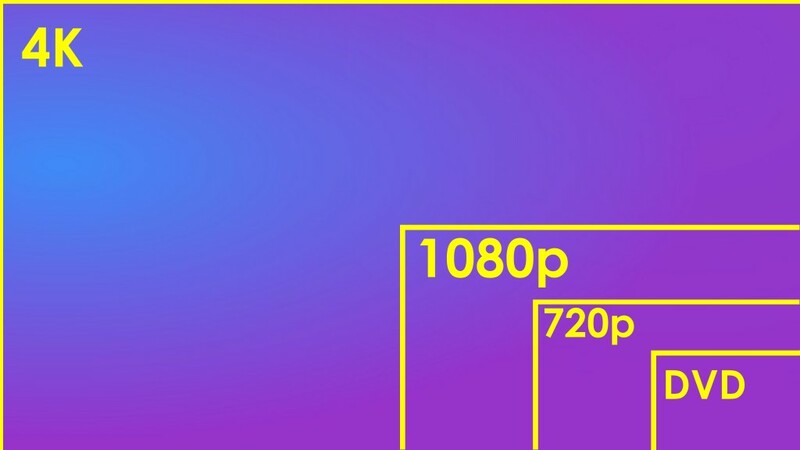 If we’re looking to get the possible images (especially in movies) we will need to look for FULL HD resolution modes, which are 1920 X 1080 pixels. On the other hand, if this is not an aspect we are too concerned about, choosing a lower resolution is also acceptable. We need to remember, however, that paying a bit more is almost always worth it, especially for the larger screen. The most powerful models come with even better screen resolutions, such as 2560×1600 and 4K screens (3840×2160), perfect for graphic design tasks. Should You Buy a 4K (3840×2160) monitor? Any full-size image on a 4K monitor will be displayed with enough detail and beauty for a photographer’s appreciation. Your palettes tools can also be set to an incredible number. These pictures also require the ability to zoom in and out in a photo editing program like Photoshop and also to display text and fonts clearly and at the correct size. This differs from standard video, television or gaming monitor usage. Most computer software applications are designed to make use of full high definition resolutions, which results in text that is easily viewed from a standard distance away. In 4K format, text minimizes to an uncomfortable level in the same programs and software apps. 4K is becoming highly active in the 2016 market but this display technology is outpacing some of the older programs that people still use every day. If you combine software usage from even two or three years ago with the new 4K option, the size of your text will be unreadable. This makes for very difficult computing and a lot of frustration between modern technology usage and keeping older but not yet obsolete software. In order to get the best benefit from 4K, you need to make sure that the programs you use work well with it. Many of the standard Windows applications work well with 4K already although some Windows desktop ecosystems may lag behind this technology. By far the most popular graphics and photography editing software, Adobe Photoshop, is already working well with 4K displays. Even the largest pictures can be viewed with full detail at high resolutions and in actual size without the need to zoom in or out or scroll the workspace. The entire Photoshop interface scales easily so you have no problem accessing all your favorite tools and palettes. If you are regularly engaged in photography or graphics editing or work with videos, a 4K monitor is virtually essential. To conclude, my personal opinion is that the 4K display capabilities are very attractive but not quite yet practical for all uses. In your excitements about this new technology, it is still important to hang back a bit and make sure all your existing hardware and the programs you use regularly work with the 4K monitor before you purchase one. Some panel types are good at certain things, and others are good at other things. But none of them are good at everything. These are far better at showing colors and viewing angles than the TN panel type but not as good with response time, especially from black to white. These panels do have very good response time from dark colors to other dark colors. The IPS’s colors and viewing angles are superior to the TN’s, PVA’s, MVA’s and VA’s. This kind of panel is widely used in mobile phones and tablets because no matter what the angle from which you are viewing it, the colors will vary very little. They are a bit slower at response times than the TNs and much more expensive. We can also find superior evolutions such as Super PLS (Plane-to-Line Switching), developed by Samsung. These are more expensive but have more realistic brightness and sharpness. These some of the terms you should keep in mind when buying a screen. Check thoroughly before making a purchase because you don’t want to regret it once you are trying it out in the comfort of your home. If I missed a term that you consider important, please don’t hesitate to leave it in the comments. AMVA is the new generation of MVA panel technology. Compared to a conventional VA panel, it provides better image quality in oblique angles and improves the colour washout thanks to new technology that creates more domains than conventional MVA LCDs and reduces the variation of transmittance in oblique angles. Higher contrast ratio is the main improvement of the AMVA panel. Through optimized colour resistance, the contrast ratio can be up to 5000:1, and in practice the contrast ratio is always around 3000:1. This is far beyond the contrast ratio of TN Film and IPS panels. As a result, you’ll get a better viewing experience. The drawback is that its viewing angles are not as wide as IPS/PLS technology and it often shows more contrast and colour shift. This has improved a lot in recent AMVA Panel monitors, such as the BenQ BL3200PT and the BenQ GW2760HS, which use the new Color Shift-free Technology. The available connections are fundamental when choosing and buying a monitor. Nowadays, it is essential for a screen to have at least one HDMI input. These inputs are fully digital and provide the best quality, as well as being the most common on new electronic devices. An alternative to HDMI and of a similar quality is DisplayPort, although this last one is less widespread. On the other hand both HDMI and DisplayPort have a <Mini> variant, which might mean we need an adapter. If the monitor incorporates an MHL port (Mobile High Definition Link), it will ease the connection to the compatible `mobile devices such as smartphones and tablets. Another interesting aspect, although less common outside the high-end, is an integrated USB port in order to connect external memory sticks or some other kind of peripheral. The brightness level of the monitor is indicated in the cd/m2, and the minimum value at which it should be set in order to not lose quality is 250cd/m2. As for contrast, the manufacturers tend to indicate the dynamic (or artificial), but the real contrast is the true determinant. Below 1.000:1, the user experience suffers. If we are thinking of playing video games, the response time should be low in order for the moving images to not leave much of a track (at least 5 milliseconds). Until recently, you had to take special notice on these three values, but generally, modern monitors start from an acceptable minimum and these will only make a difference if we chose to buy a high-end screen. To finish with our tips on choosing and buying a monitor, it’s convenient to check if the base can be inclined or not. This will allow us to enjoy full ergonomics and to be able to work in a comfortable position. Some can have the height and inclination adjusted, and some may even be rotated a little. Previous Best Nikon DSLR Camera 2019: which Nikon reflex camera should you choose and why? Thank you for very good review. I have two question. 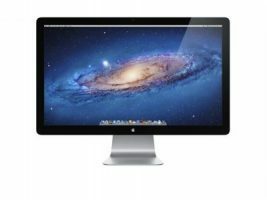 Is BenQ SW 2700PT a good choise for both Mac Air and Mac Mini 2.6 GHz? Thank-you for the review. 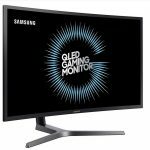 I have a few questions concerning monitor quality. I have a macbook pro 13″ and I need a much larger monitor. I do a lot of work with graphic design, ppt presentations and using excel spreadsheets. 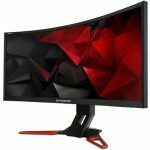 Would I need a 60hz or 75hz or does it matter? My next question is concerning how you listed your recommendations — did you list them starting with best quality? Could you recommend a monitor in the $200 to $500 range? Thanks for the info. It’s the best info I could find on the web! I have a MacBook Pro with retina screen and love the color. But, I need a larger monitor for editing photos. I am a photographer. Regarding the monitors you recommend, are these recommended for photography, gaming and CAD usage? Again, most interested in larger 27″ monitor for photo editing. Also, I noticed you don’t list any apple monitors. I am curious as to why? Again, great info! And thanks. But something cheaper for 21 inch , what do you recommend? I am running this off a 2014 model MacBook Pro 15″ Retina display, but wanted a bigger screen for general office use and also photo editing. I have the Dell P2715Q, and am running OS 10.11.1; since I upgraded to this OS, the Dell flickers on and off, has bands of white flashing, and generally is useless. I cannot seem to fix it (the Apple Support community has the same complaints, but no one has been able to fix it.) Any recommendations? Very good info, tks ! Great Review, thanks for the info! The new iMac Retina disappoints in the benchmark.